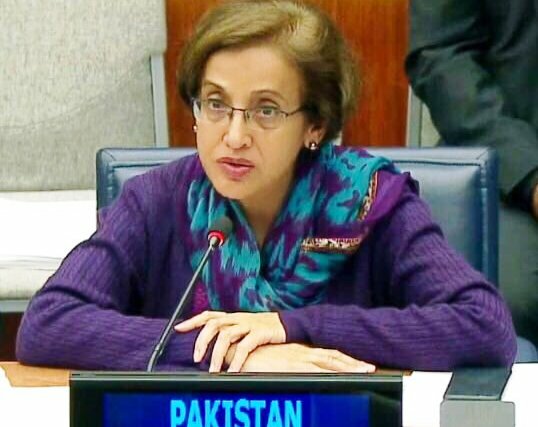 ISLAMABAD: Foreign Secretary Tehmina Janjua has termed acquittal of Samjhauta terror attacks as historic injustice. She briefed the Islamabad Diplomatic Corps at Ministry of Foreign Affairs in Islamabad on Thursday on the injustice done to the forty-four Pakistanis killed in the Samjhota Express terrorist attack in 2007 in India, with the acquittal of all four perpetrators, including Swami Aseemanand, in the Samjhota Terror Attacks. Swami Aseemanand was the mastermind of the heinous attacks and is an activist of the Hindu terrorist organization, RSS who had publicly confessed his involvement in the attack. Foreign Secretary stressed that despite repeated requests by Pakistan for a fair trial, after a lapse of more than 11 years, Indian courts have now exonerated the accused, which demonstrates how India protects terrorists who publicly confessed their odious crimes.